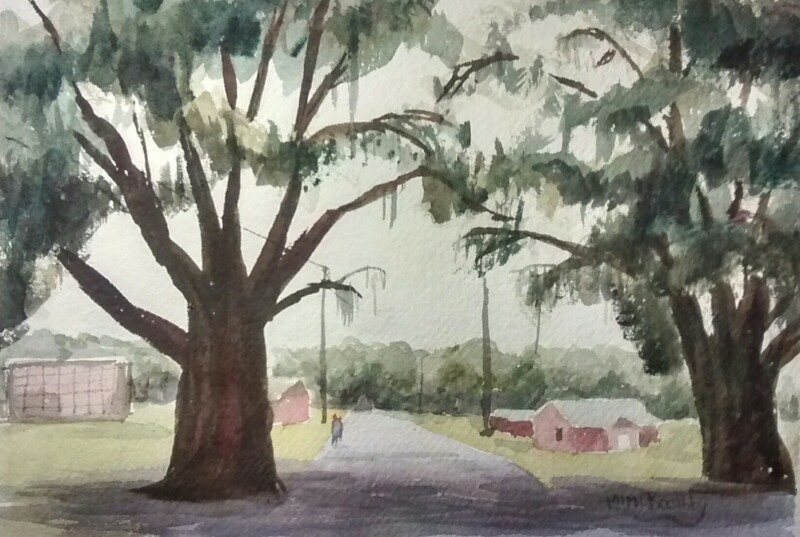 One of the nicest things about Florida (besides the alligators) are the ubiquitous live oak trees. These immense trees dominate the landscape and provide soothing shade with their massive umbrellas of leaves. This is a view I see almost every day; walking, bicycling and even driving in the car, it is near to where I am staying in Tallahassee. These trees feel like old friends to me already; although to them I am probably no more significant than a gnat. This painting measures 8″ x 11″ and is for sale for $125.00. All proceeds go towards endangered species conservation.